Grew up with PKK Szczecin (Poland) youth teams. Made his debut with PKK Szczecin during the 1998-99 season. Signed for the 2001-02 season by Starogard. Moved to Germany for the 2002-03 season, signed by StadtSport Braunschweig. Signed for the 2003-04 season by Alba Berlin Basketball Team. Moved to Italy for the 2006-07 season, signed by Scafati Basket, Legadue. Moved to Russia for the 2007-08 season, signed by Lokomotiv Rostov na Donu. Moved to Italy for the 2009-10 season, signed by SS Scandone Avellino. 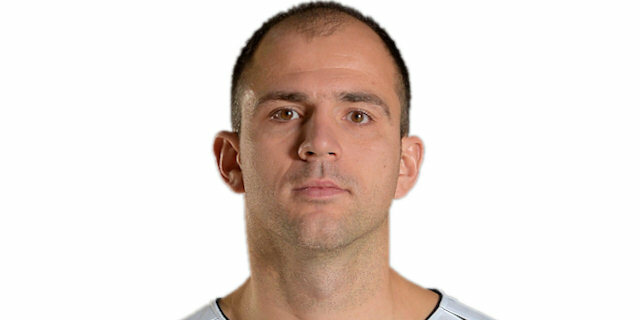 Signed for the 2011-12 season by Reyer Venezia. In January'14, signed for the 2013-14 season by Virtus Roma. Moved to Poland for the 2014-15 season, signed by ASZ Koszalin. Signed for the 2015-16 season by Stelmet Zielona Gora. Won the 2004 German All Star Game Slam Dunk Contetst. Has been member of the Polish U-18, U-20 and B National Team.